Here the PECAN researchers address a few top questions about nighttime thunderstorms. In what parts of the U. S. and during what time of the year do thunderstorms most often occur during the night rather than during the day? 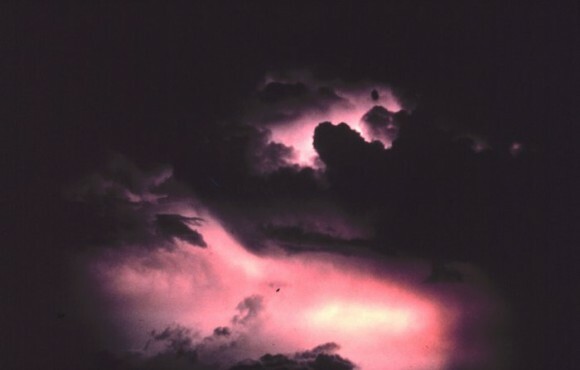 In the plains of the U.S. during June and July, thunderstorms most often form during the night around midnight when most people are sleeping and it is much cooler than during the day. The loud thunder can jolt you out of bed! Are thunderstorms at night more dangerous than thunderstorms during the day? 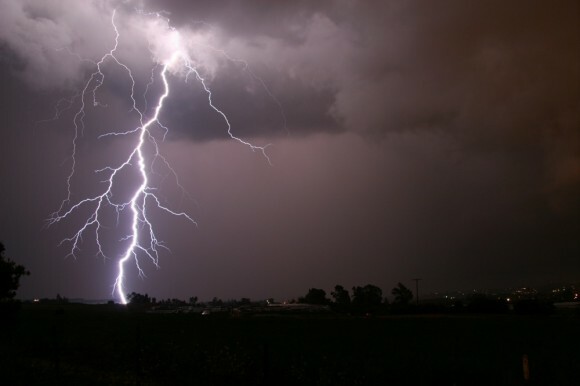 All thunderstorms produce dangerous lightning, both during the day and at night. Storms that form at night are likely to produce hail, damaging winds, and flooding rain. Tornadoes, however, are much more likely during the day, especially during the late afternoon and early evening, not at night. Tornadoes are also much more common in the spring than in the summer in most parts of the country. What are the main weather hazards from nocturnal thunderstorms? 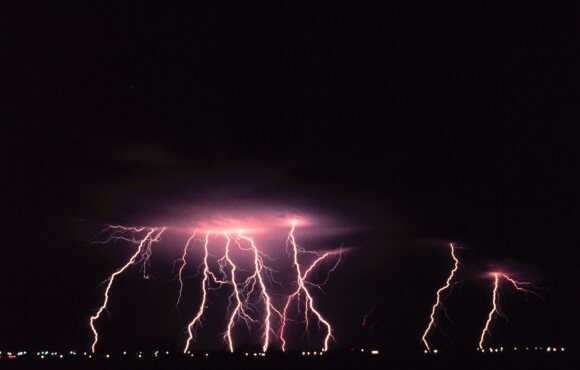 Nocturnal thunderstorms that occur in large complexes or lines are capable of producing damaging winds, hail, and torrential rainfall that can result in flash flooding. Tornadoes, however, while possible, occur much less frequently at night. Lightning is also a significant hazard. What should people do to prepare for nocturnal thunderstorms? Be sure to secure all outdoor patio furniture and other things that can be blown around by strong winds. Park cars in garages or under shelters if possible to protect them from hail or falling tree branches. Make sure electronic devices such as computers and televisions that are plugged into the wall are protected from electrical surges or are simply disconnected. If you live in a flood-prone area, be prepared to evacuate if a flash flood warning is issued. A NOAA weather radio with an alarm tone and a cell phone with alarm capability are useful for being awakened and warned while you are asleep. What role does geography play in nocturnal thunderstorms? It appears as if the Rocky Mountains and the gentle slope of the land downward to the east and southeast toward the Gulf of Mexico are important. The sun heats the land unevenly during the day, and when the heating from the sun stops at night, changes occur in the atmosphere that force a strong “jet” of air just above the ground. It blows northward from the Gulf of Mexico, bringing lots of moisture that can fuel thunderstorms in the Plains. Is it more difficult to forecast thunderstorms that form at night? Thunderstorms are most likely to form when the temperature of the air decreases with height pretty rapidly; for example, when it’s hot at the ground and cold aloft. 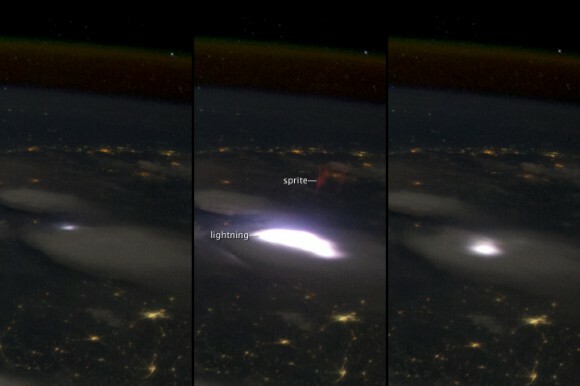 Thunderstorms that form at night occur in the absence of heating at the ground by the sun. Consequently, the storms that form at night are usually “elevated,” meaning that they form aloft above the cooler air near the ground, rather than near the ground, which only during the day can get warmer. There aren’t nearly as many measurements available of temperature and moisture, which is needed to fuel thunderstorms, above the ground as there are at the ground, so predicting where storms will form at night is much more challenging. Learn more about the PECAN project here.